A new Star Wars series is preparing to take flight! 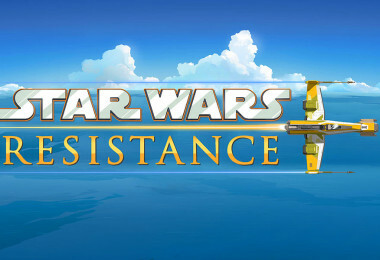 Star Wars Resistance makes its pilot flight in a one-hour premiere airing Sunday, October 7, at 10 p.m. EDT/PDT on Disney Channel! We know you’re all super-excited to hear about everything Star Wars-related (and so are we! ), so here’s everything we know about the new animated series! Meet Kazuda Xiono, or Kaz. He’s a young, new recruit for the Resistance who is getting ready to help fend off the growing threat of the First Order. 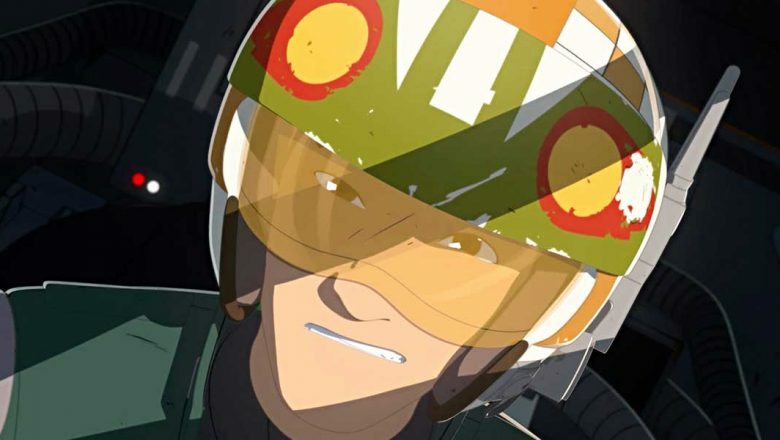 Taking place prior to The Force Awakens, this new animated series will blast into light speed with a one-hour premiere titled “The Recruit,” and there are some familiar faces to welcome Kaz to the screen! Our favorite rule-bending Resistance pilot, Poe Dameron, returns with his trusty, beeping, all-around adorable sidekick, BB-8, to introduce Kaz to the ways of the Resistance and give him his very first assignment on the Colossus, a massive aircraft re-fueling platform on an outer rim water planet. This top-secret undercover mission catapults Kaz into a world filled with colorful new aliens, droids, and creatures from all corners of that special galaxy far, far away. Not only will we meet Kaz, but we will also be introduced to Poe’s old friend Yeager, who offers Kaz a place to live and a job in his starship repair shop, where he works as a mechanic while undercover. Veteran pilot Yeager’s crew includes Tam, Neeku, and their astromech droid, Bucket. But, who will Kaz cozy up the most to? BB-8, of course! No stranger to the force himself, Oscar Isaac will reprise his role on screen and lend his voice to the animated series. Gwendoline Christie will also return as Captain Phasma. 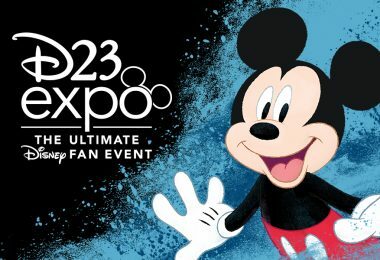 But, it won’t just be Star Wars stars who lend their voices to the new series: Disney veterans Myrna Velasco (Elena of Avatar) and Bobby Moynihan (DuckTales), will join this new adventure as Torra Doza and Orka, respectively. What Star Wars story would be complete without some new, fresh faces (or voices, as the case may be)? Christopher Sean (Days of Our Lives) voices Kazuda Xiono, Suzie McGrath (East Enders) is Tam Ryvora, Scott Lawrence (Legion) is Jarek Yeager, Josh Brener (Silicon Valley) is Neeku Vozo, Donald Faison (Scrubs) is Hype Fazon, Jim Rash (Community) is Flix, and Rachel Butera (Tammy’s Tiny Tea Time) lends her voice to the role of General Leia Organa. This cast that promises to be a force worth reckoning with. The series is created by renowned Lucasfilm Animation veteran Dave Filoni (Star Wars: The Clone Wars, Star Wars Rebels). Athena Portillo (Star Wars: The Clone Wars, Star Wars Rebels), Justin Ridge (Star Wars: The Clone Wars, Star Wars Rebels), and Brandon Auman (Teenage Mutant Ninja Turtles) serve as executive producers; and Amy Beth Christenson (Star Wars: The Clone Wars, Star Wars Rebels) is art director. Make sure you get all of your porgs in a line, set the timers in your Millennium Falcon, and tune in on Sunday, October 7, at 10 p.m. to be transported, once again, to our favorite galaxy with some of our favorite—and new favorite—heroes by your side. 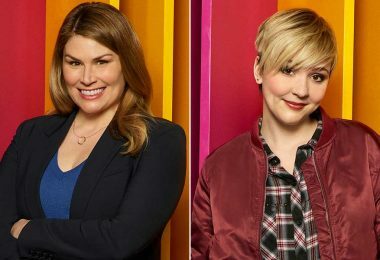 Did You Spot These Easter Eggs in Disney’s Freaky Friday?